Coffee in a can? … Alabama-based Revelator Coffee Company just opened their latest café inside the American Can building. In addition to offering specialty coffees, the shop also features breakfast and lunch dishes from Paloma Café (which is owned by Revelator). 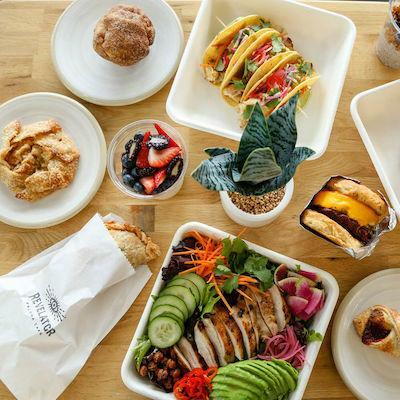 Chefs Danny Alas and Justin Rodriguez have put together a condensed menu for the new café, with items like an egg and chorizo breakfast biscuit, chia pudding, citrus-marinated pork tacos, and avocado toast. The Mid-City Revelator is open daily from 7 a.m. to 5 p.m. Collaboration anticipation … The French Quarter bar and restaurant from partners Chris Hannah and Nick Detrich has arrived at long last. Jewel of the South opened recently in an old Creole cottage at the Rampart-end of St. Louis Street. The new spot, which pays homage to the original bar in name, features dining areas in the courtyard and both upstairs and downstairs. To go along with their antique bar, they've hired London-born chef Philip Whitmarsh, who was formerly the sous chef at Compère Lapin, to run the kitchen. 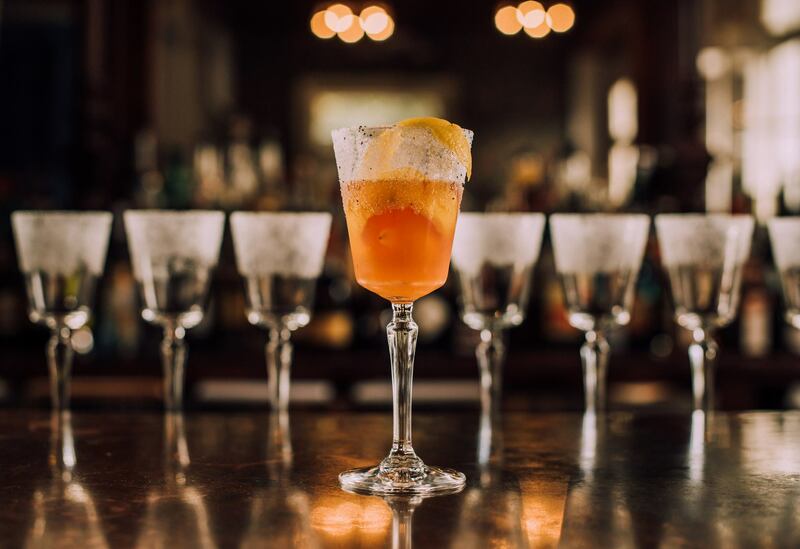 NOLA.com quoted Whitmarsh as saying the food is “classically modern British with a little Cajun twang.” Jewel of the South is open for dinner and drinks nightly. 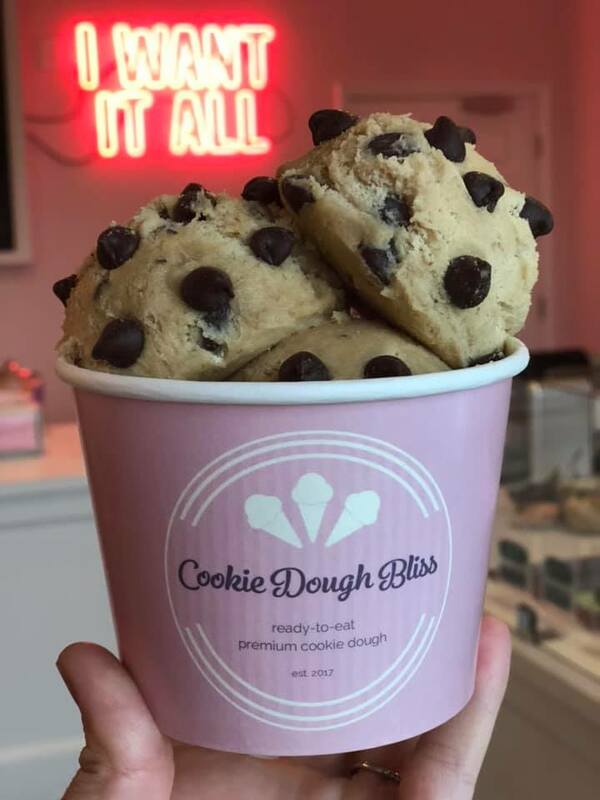 Rollin' in dough … North Carolina-based Cookie Dough Bliss just opened their first Louisiana location in Lakeview. Specializing in edible cookie doughs, this new sweet shop offers flavors like chocolate chip, oatmeal raisin, brownie batter, red velvet, mint chocolate chip, cookies and cream, snickerdoodle, and more. Unlike scarfing your own homemade cookie dough, all of their doughs are made with a pasteurized egg product, so there's no health risk involved when eating it raw. Cookie Dough Bliss is open daily. 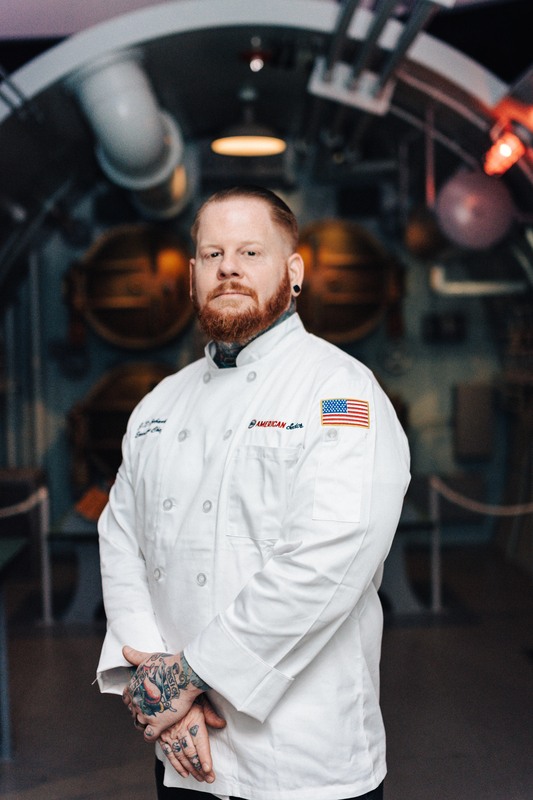 In with the new … The American Sector Restaurant & Bar inside The National WWII Museum recently announced their new executive chef, former naval culinary specialist and metal-band front man Jonathan David “JD” Eubanks. Born and raised in Ponchatoula, Eubanks learned butchering techniques from his grandfather, who owned a farm. His new menu for the restaurant features modern American cuisine mixed with Southern classics, like BBQ ribs and roast beef gravy fries, Frito Pie and Company B Chili Beans, and a 5-star cheeseburger with Creole smothered onions, bacon, and triple cheese sauce. “His naval experience, artistic background, culinary knowledge, and local roots make him the perfect fit for The American Sector. 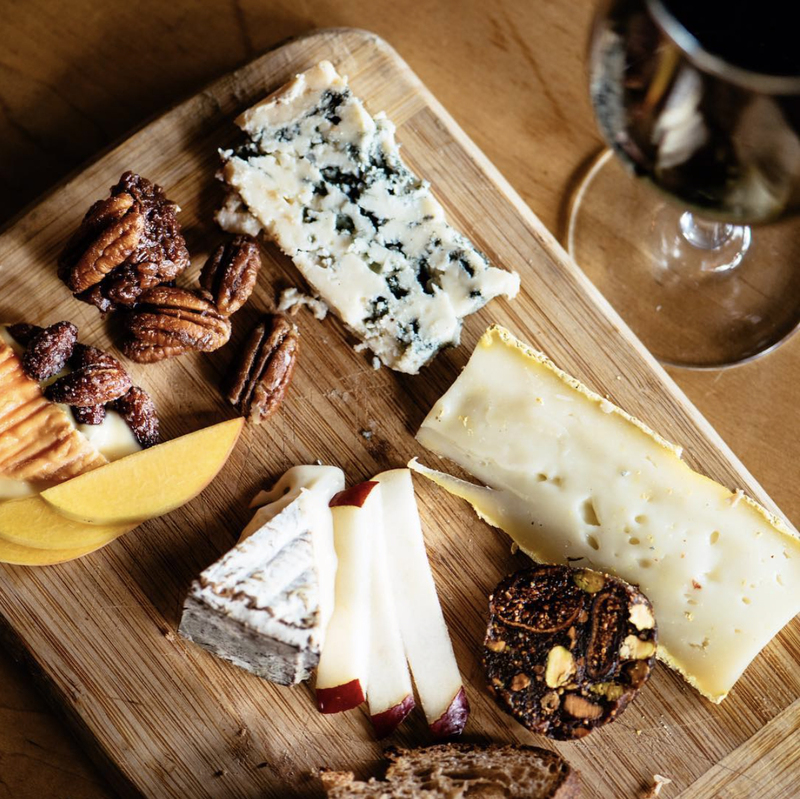 We are so excited to see his creativity and personal experiences speak through his food,” states Michelle Margarido, general manager of The American Sector. Tréo, the cool bar, restaurant, and gallery on Tulane Avenue, shuttered mid-February, almost five years after it opened. Owners Pauline and Stephen Patterson announced the closing in a Facebook video, saying goodbye to the building and looking forward to spending more time with friends and family. On a good note, NOLA.com reported that the space has already been purchased by Ash Salem (who also purchased the Midtown Hotel across the street) and brothers Noor and Raouf Mousa, who plan to open a hookah bar. Approximately eight months after appearing on Gordon Ramsay's 24 Hours to Hell and Back, The Old Coffee Pot, a French Quarter staple over the past century or more, has closed. The French Quarter restaurant was known for serving Creole and Cajun breakfast classics. You will be missed! Tampa, Florida-based World of Beer has pulled out of Louisiana completely now with the recent closure of its Warehouse District location. Opened less than four years ago, the restaurant and bar stocked more than 500 beer brands and offered a menu of burgers, sandwiches, and salads. Maybe the brew competition lately has been too fierce? Finally, Covington 'cue joint Smoke BBQ has shuttered after four years in business. Owners Jeffrey and Amy Hansell, who also run Oxlot 9 at the Southern Hotel, have attributed their closure partially to the U.S. 190 highway-widening construction that directly impacted their location. The couple does plan to open another location in a year or so—we hope!